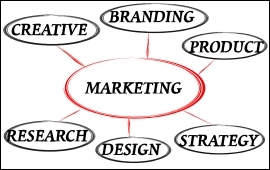 Marketing Agency Advantages | Wach Marketing Inc.
Market Proficiency- Knowing the market thoroughly that you plan to advertise your business in is crucial to a successful marketing plan. An established full service marketing agency has extensive knowledge of the market and will know when and where to place your advertising in order to obtain the best results. Agencies access and research market trends such as listenership and viewership on a daily basis which is typically not readily available to the public. By partnering with an agency, your business will absorb the years of market. Save Time- A full service marketing agency will handle most, if not all of your marketing efforts. When you hand over the micro managing of your marketing efforts in the hands of an agency, you have time to focus on what really matters most…your business. Save Money-For most small businesses, the cost of hiring internal marketing personnel will outweigh the cost of hiring an agency. In addition, agencies access, evaluate, and, buy media of all varieties on a daily basis so they know the true value of the buy and they are less likely to overpay for the media. Wach Marketing Inc.|10612-D Providence Road #527 Charlotte, NC 28277|704-236-4312|All rights reserved- © 2016-2019 Wach Marketing Inc.